This is part 1 of a mini-series on how I organise my photo library. I’m posting this because keeping an ever-growing library of photos organised is a challenge for all of us, and I thought I’d explain a system that’s worked for me for fifteen years – so I’m guessing it must be half right. 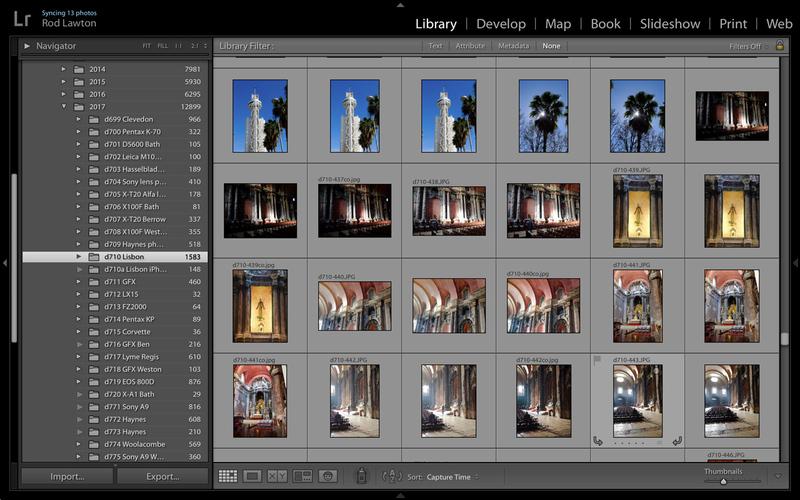 I use lots of different tools for browsing, sorting and searching my images, including Lightroom, Aperture (at one time) and more. But they all rely on central folder-based folder system on my hard disk. Even if you’re using an image cataloguing tool like Adobe Lightroom, it makes sense to have a properly organised image filing system on your hard disk. You can see mine in the Folders panel. So I could just dump every batch of photos I shoot into a new folder and leave it at that, but I find this doesn’t give me the clarity and information I need. For a start, the filenames created by cameras are just meaningless hieroglyphics to me, so before I add images to my central image archive, I always rename my photos according to a simple process. Each photo within that folder than gets renamed with the roll number (the folder number) followed by a dash, followed by a unique number for each photo in that batch. Most of my images are digital but some are scans from films, so I also put a letter before the roll number to show which is which. I put batches of images into numbered folders (I sometimes add a text description after that) and create individual photo filenames from the folder name followed by a unique number. d774-031.jpg: That’s image 031 from roll number d774. I know it’s digital (the ‘d’ at the start) and I know where to find it (it’ll be in folder d774 in my image archive). c001-488.tif: That’s a scan from my archive of old colour transparencies (‘c’ for colour) in folder c001. m097-006.tif: That’s a mono scan from my collection of black and white negatives, and that’ll be in folder m097. n022-015: I use a different letter (’n’) to distinguish my colour negative scans. This does add an extra step to my workflow but if gives me much more clarity later on. I know some folk get on perfectly well with folders named according to locations or events, and stick to the original camera filenames within that, or by using the Lightroom model and importing images into folders with dates, but I don’t find other methods particularly helpful and this is the one that gives me the simplest and most easily understood filing system. You can rename files in a whole bunch of different programs, but the one I use is Adobe Bridge. Maybe it’s just habit, but I find Bridge perfect for initial image browsing, sorting, renaming and organising and I use it before adding images to my archive. All the other software I use comes afterwards – I like to get my image archive updated as my very first step. I’m sure there are other alternatives to Bridge that would do this job, but I haven’t got around to exploring them. 1. Text: the static folder name prefix. So following my folder naming system, I might want to put a new batch of photos in to a folder called ‘d824’. This then becomes the prefix for all the images in that folder, so the first component of my renamed files is ‘d824-‘ (the dash is there to separate it from the index number, which is next). 2. Sequence Number: the unique image number. This is the second part of the file name, and here I can configure Bridge to add a unique sequential number to each image. Helpfully, it displays a preview of how the new file name will look in a Preview section at the bottom of the dialog, which shows Current filename: DSCF4003.JPG and New filename: d709-001.JPG. And that’s it! All my images now have unique filenames which are easier to interpret, tell me what kind of image I’ve shot and even where to find it. So whether I then go on to use Lightroom, Capture One Pro, DxO Optics Pro, ON1 Photo RAW, Alien Skin Exposure or any other program, I’m still working from a logical central filing system that tells me where and what my files are, even out of their original context. 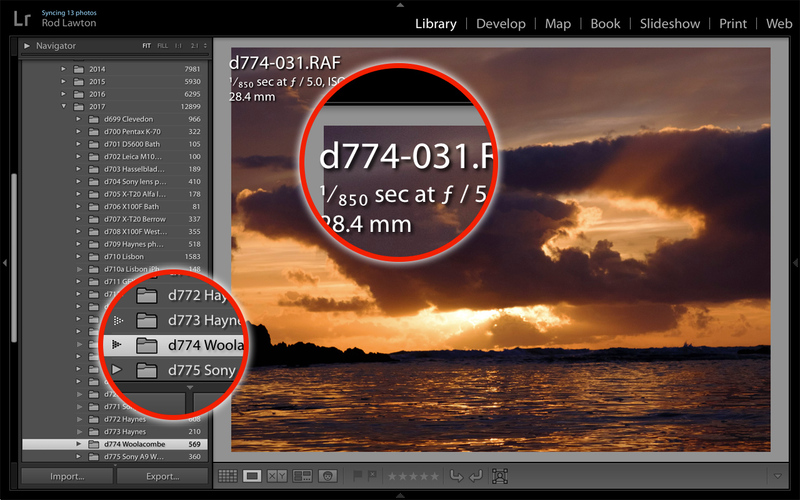 But what if you shoot RAW+JPEG pairs? What you don’t want is for identical images to get different index numbers. 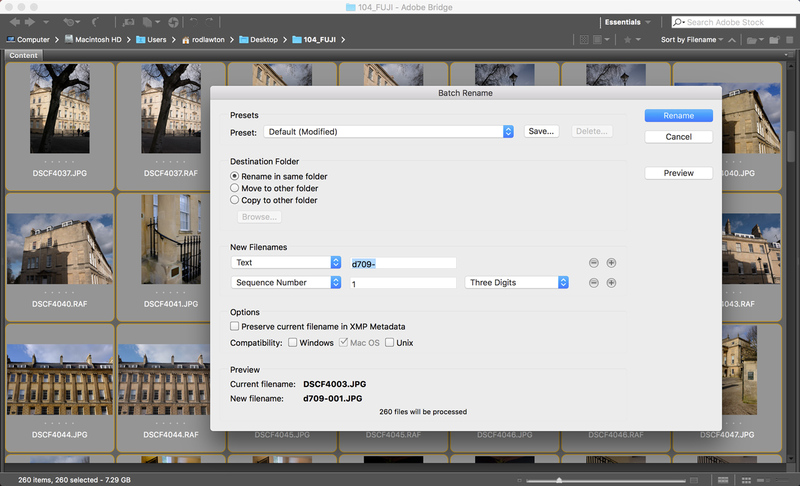 Adobe Bridge has the answer, and that’s in the next instalment of this three-part mini-series. Nice post on filing tips. Many people I know struggle with how best to approach this. Worse – they’ll not think about it at all then end up with a very messy hard-drive with photos all over the place. I learnt a long time ago that both Windows Explorer & Mac Finder will list the folders chronologically by using a reverse number-only date prefix. .. then I’ll drop the image files from my camera in there without renaming (I don’t scan negs or have other sources like you do). Also, A Finder Better Rename for Mac is one of many other apps that assist with sequential filenaming. xxxx is the image number starting with 0000, 0001, 0002 etc. D3s is the camera, or D71 or S5 etc. All fields of the filename are set during import as well as many IPTC fields (lens, iso, aperture, etc.). After deleting unwanted images the remaining ones will keep their name. I like the simple filing system very much, but the problem I’m experiencing is that photos taken with my Iphone are stored in one area, my photos from my camera are store in Viewer 3 and the photos from my wife’s camera are stored in another area. I would like a storage system no matter what device i upload my photos from they all go into the same system. Can someone suggest a storage system that can achieve this or explain what I’m doing wrong in uploading my photo from various devices to my Mac Computer.